MEXAN Products has recently developed an automatic bag loading machine, which attaches to their bottle bagger, for use by bottle manufacturers to bag bottles directly from the blow-moulding operation. The machine – constructed in stainless steel – counts, collates and sweeps bottles into a bag pulled from a roll that’s then formed and sealed to provide a hygienically, untouched-by-human-hand pack of plastic bottles. 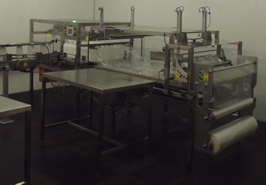 Accommodating bottles of all shapes and sizes, this system replaces corrugated boxes and trays. ‘The machine is unique in that it can be retrofitted to Mexan’s semi-auto bagger model that required an operator to fit bags manually; and its stainless steel construction ensures high levels of hygiene – a specific requirement for the food, beverage and pharmaceutical industries,’ points out Peter Ekhoff, Mexan Products’ GM. 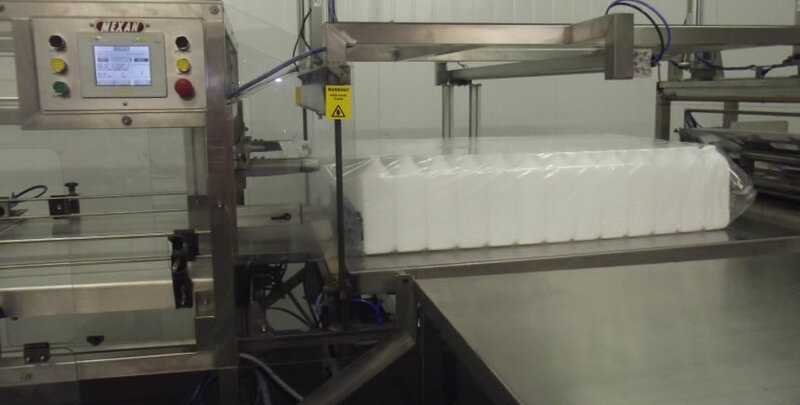 ‘Replacing alternative packaging, it offers substantial savings in time, materials, labour and space costs.’ Nampak Liquid in Westmead (KZN) recently installed one of these machines to handle its three- and four litre dairy bottles. The team is so pleased with the machine that two more are being installed. ‘We chose Mexan because of their history of service and reliability. The Mexan team has always responded with urgency to any problems that arise,’ explains Moses Subbayar, Nampak Liquid’s production manager. ‘Installations have been faultless and the machine has helped us to cope with large production increases, while saving on time, labour and packaging. We’re delighted with how efficiently the baggers are running and that we only need one operator to oversee three bagging machines,’ Moses enthuses. Mexan’s line-up includes washing, filling and handling equipment for the food, beverage and chemical industries, specialising in factory automation and stainless steel fabrication to assist users to pack hygienically and efficiently.